-I love Babymouse! She's the best pink superhero. She's a a spunky little mouse who has quite the imagination. Each book is a new adventure from Rock Star to Beach Babe and you know you're in for a treat with each new volume. 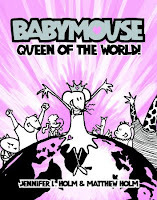 Babymouse is the perfect graphic novel for tween girls. -This is an action packed graphic novel! The second volume was released this year, which is great because my tween readers have been asking for it forever. There's a good mix of adventure and fantasy, and the books have been optioned for a movie. -Jellaby is one of my favorite graphic novels-especially if you're looking for one that will make you warm and fuzzy and leave you smiling long after you finish it. This is followed up by Jellaby: Monster in the City and you can also find several Jellaby short stories in the various Flight comic collections, which are edited by Kazu Kibuishi and well worth checking out! 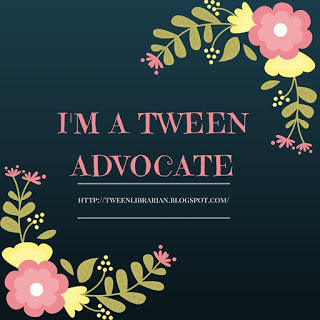 Have your own Tween Tuesday post? Leave your link in the comments and share the love! I LOVE Babymouse! They just keep getting better and better as the series continues.